For the last six days, I have visited the Museum of Modern Art to try to get a glimpse of Marina Abramović as she sits in her chair for “The Artist is Present.” Or rather I’ve been playing Pippin Barr’s virtual interpretation of the experience. 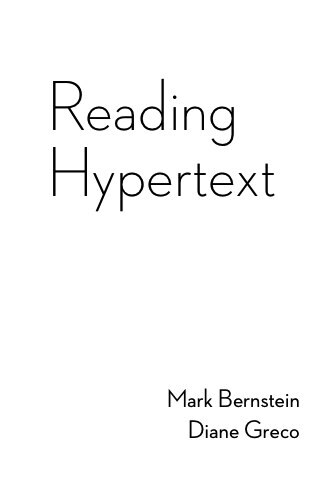 The verisimilitude is brilliant—or excrutiating—I’m not quite sure which. Maybe both. 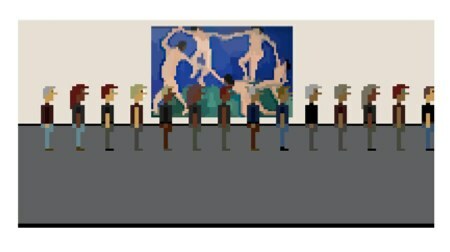 You walk in to the Museum of Modern Art –assuming, that it, that you sat down to play the game during the hours when the real museum is open. The game is on a clock set to New York time, and if the real MoMA is closed, you can’t get in. Once inside, you purchase a ticket and give it to Security. You stroll past a few famous pieces like van Gogh’s “Starry Night” and Warhol’s “Campbell’s Soup Cans.” Then you hit the line somewhere around Matisse, so you wait...and wait...and wait some more. At this point, you might be tempted to go do something else or tab to another site. If you do, and the line shifts, the person behind you will get frustrated with you and you’ll get pushed out of line. And there’s no cutting either, no way to reclaim your spot once you’re pushed out. Depending when you start, you might wait for hours. At 5:30 EST, the museum closes and you’re booted onto the street. The game demonstrates how important user experience is to gaming, not just to ensure that the player is enjoying herself, but also in understanding games as an emotional vehicle. This game is boring, and when you get to the end, it’s underwhelming. However, the boredom and the stoic ending give the player plenty of time to impose her own thoughts and interpretations onto the game, which actually captures the spirit of the exhibit, and postmodern art as a whole.